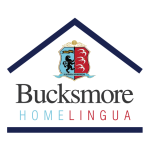 Bucksmore Homelingua is a leading provider of home tuition immersion homestay courses in the United Kingdom and the Republic of Ireland. Homelingua was established in 1994 and was previously based in Woodstock, just outside Oxford. The company was originally founded to meet the Japanese market’s demand for a programme which would combine English language tuition with English culture. In the 20 years that have passed since its establishment, the company has significantly expanded, now attracting students from all over the world, however, its underlying ethos has remained unchanged. At the very heart of all Homelingua programmes still lies the idea that a full-immersion into the English culture, coupled with a highly personalised English language course, enables students to progress much more quickly than they would at a regular English language school. Homelingua can now boast 20 years of experience in offering one-to-one home tuition courses for both juniors and adults and has acquired a high reputation for the top-quality and the originality of its programmes. In April 2014 Bucksmore Education, itself part of the larger Oxford International Education Group (former ISIS Education & Travel) , acquired Homelingua, one of the leading providers of home tuition courses in the UK.